Cost and Convenience: Butler’s regional manufacturing facilities are close to Met-Con projects, which reduces transportation and energy costs and speeds up the construction process. Butler has acknowledged Met-Con with numerous awards in recognition of our lengthy partnership, successful collaboration and excellent results with their buildings. 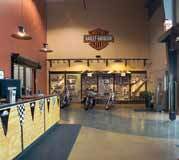 When the Harley-Davidson dealer in Faribault, Minnesota needed a new facility to keep up with its growing business, the owners called Met-Con. We worked closely with the dealership to design and erect a Butler building. 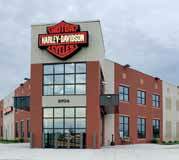 The 28,125 square foot store, built to Harley-Davidson specifications, was finished on time and on budget. We are very pleased with the overall project and that the new building adds to our stature. 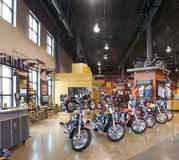 Many people who come into our store for the first time have passed on compliments regarding the look of the store. Thanks! Find out how Met-Con can help your project get off the ground.